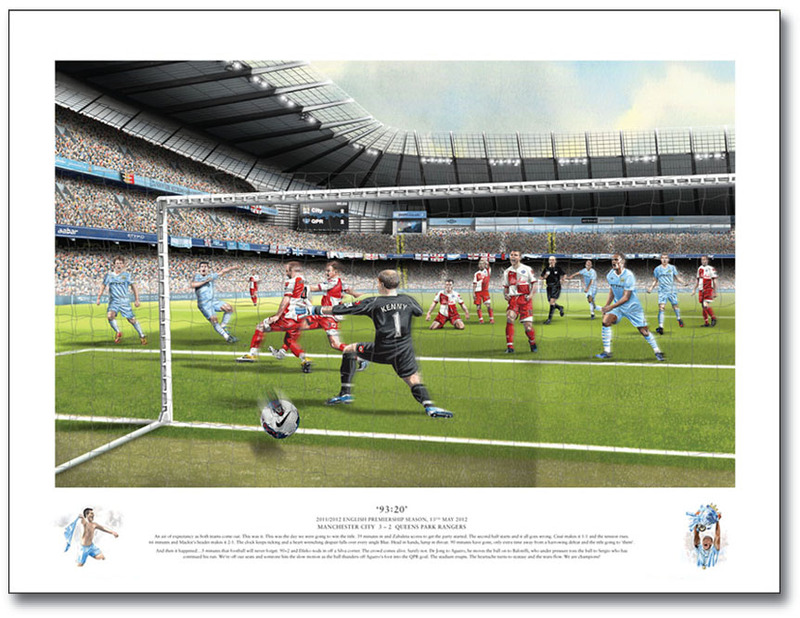 A Unique Quadruple Manchester City Gift Idea! 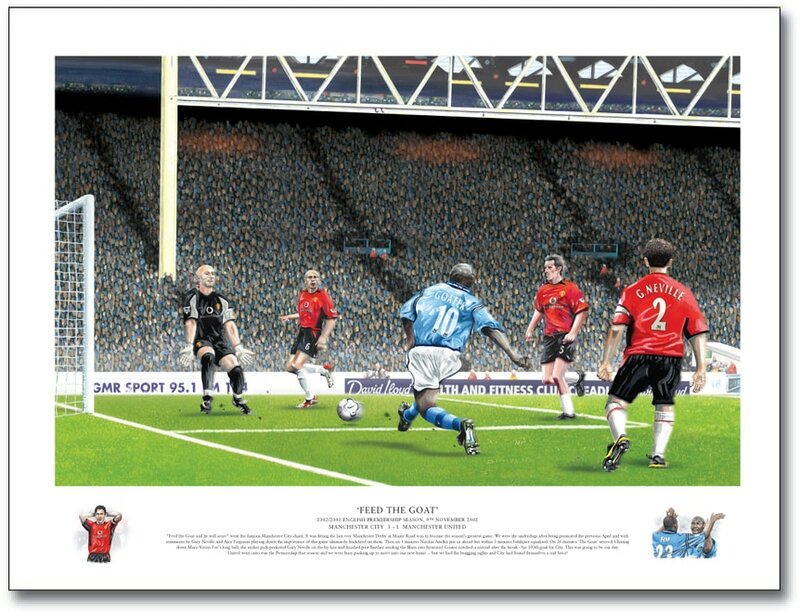 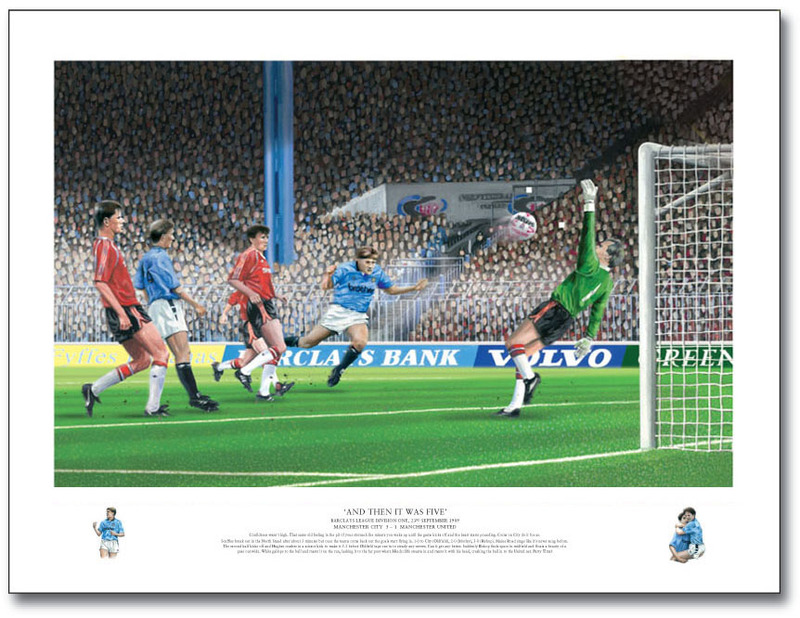 Arguably 4 of the most important GOALS in Manchester City's History! 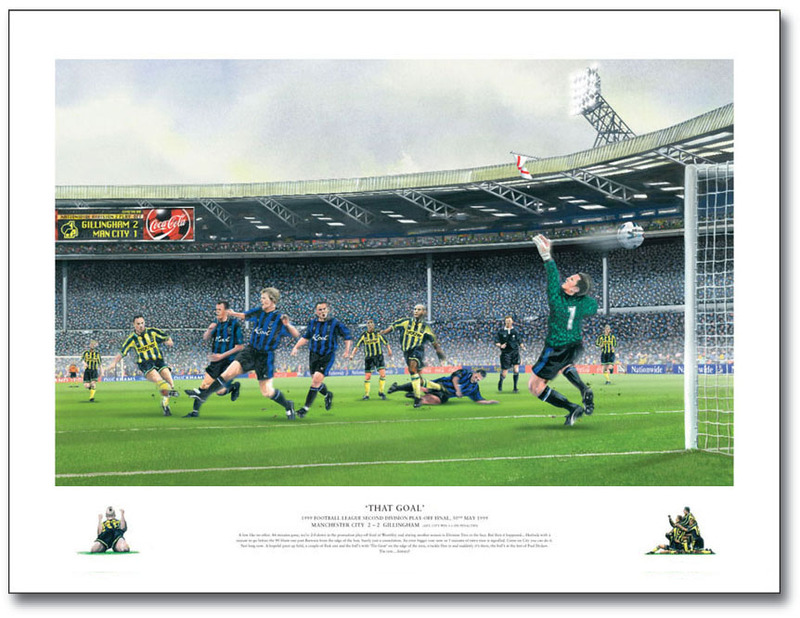 Hinchcliffe's thundering header against the Reds back in 1989, Dickov's late equalizer at Wembley in 1999 to send us on our way, the Goat pickpockets Neville in 2002 ... and probably the most important ... Sergio's injury time winner 13th May 2012 which will never be matched!